Kenya’s ministry of health on Thursday March 19, 2015 launched a three-year strategic plan to revitalize the war against tuberculosis (TB), which is the fourth leading cause of deaths in the country. The launch of 2015-2018 National Strategic Plan for tuberculosis marks a significant milestone in the war against a major public health challenge in Kenya. Cabinet Secretary for Health James Macharia said the new strategic plan focuses on strategic interventions to reduce new infections and achieve universal access to drugs for TB patients. "The government will scale up investments to reduce the burden of TB, leprosy and lung diseases. "Our next focus is provision of people centred, universally accessible and affordable treatment and care," said Macharia. Kenya has domesticated global instruments to eradicate tuberculosis by the year 2050. Macharia noted that Kenya could attain zero TB infections and deaths by 2020 thanks to political commitment and increased budget allocation. "The 2014 review of the National TB program indicated that treatment success rates averaged 88 percent. Adoption of evidence based innovations like community based care has reduced TB burden in the country," he remarked. Statistics from the ministry of health indicates that Kenya recorded 90,000 TB cases in 2014. Macharia noted that informal settlements and remote villages are grappling with high TB burden due to overcrowding, poor hygiene and limited access to health facilities. "Tuberculosis is curable but our current efforts to find, treat and cure everyone are not sufficient. 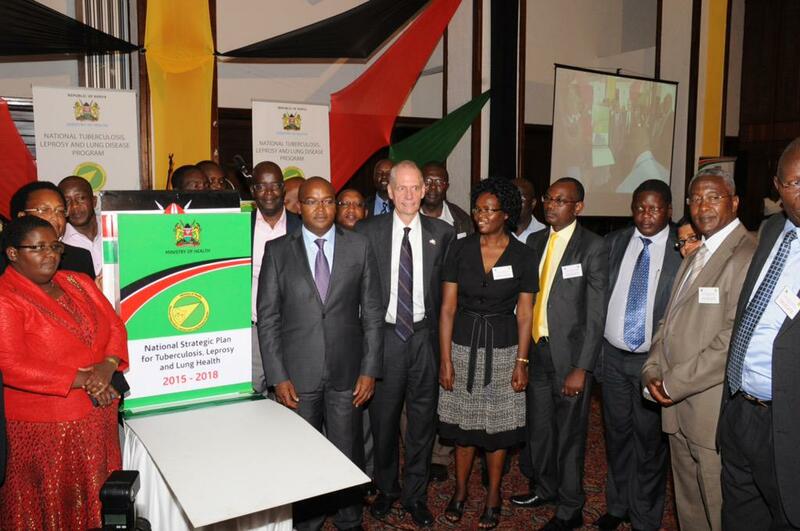 We need to scale up targeted interventions in the hotspots," said Macharia. WHO Representative in Kenya Custodia Mandlhate stressed that advocacy, investment in commodities and health workers are crucial to boost the war against tuberculosis and other respiratory infections. "Kenya should apply global best practices to boost case detection and access to TB drugs. "Effective partnerships are crucial to help bridge a funding gap on TB programs," Mandlhate said.